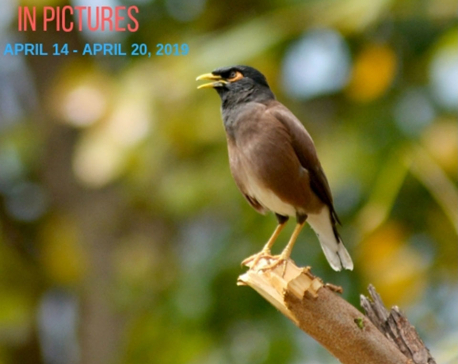 The week in pictures for the week April 14 - April 20. 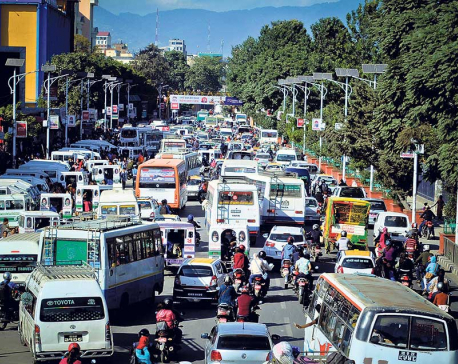 KATHMANDU, April 12: A ‘traffic week’ has begun in the Kathmandu Valley from today. 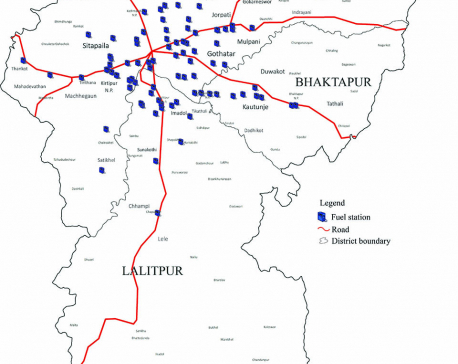 The weeklong awareness campaign launched on the initiatives of the Traffic Police Circle, Maharajgunj and other subordinate community service centers aims to minimise road accidents in the Valley. 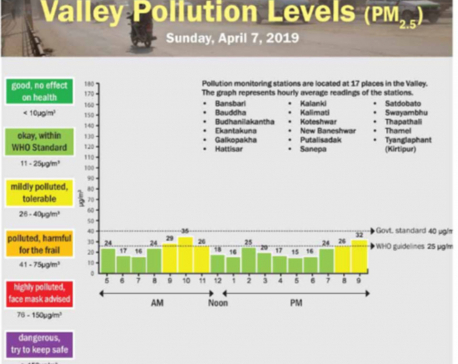 KATHMANDU, April 11: Upon inspection by a team of officials from the Metropolitan Traffic Police Office (MTPO) and the Department of Transport Management (DoTM), 53 percent of the vehicles checked for their level of pollution contribution failed the Public Vehicle Pollution Test. 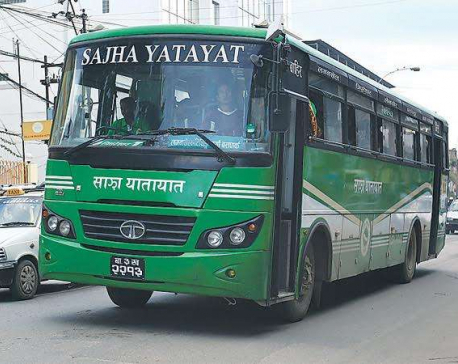 KATHMANDU, April 9: Sajha Yatayat's e-ticketing service has attracting passengers. 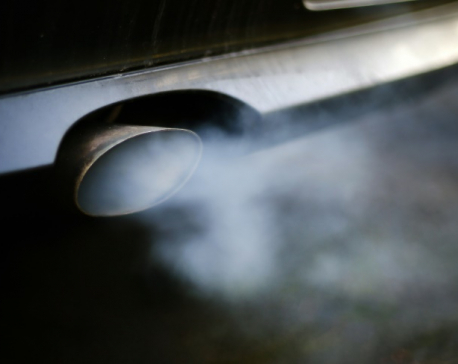 Passengers knowing about e-ticket are increasingly attracted to the service. 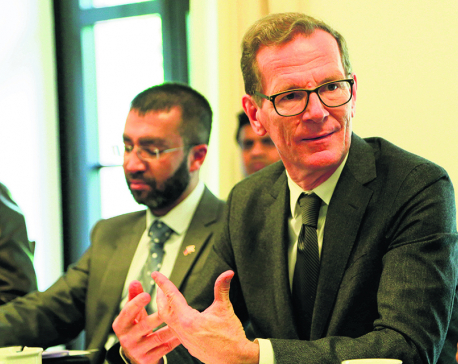 KATHMANDU, April 9: German Embassy in Kathmandu has announced to organize a 16-day exhibition titled “The German Energiewende: Transforming Germany's Energy System” from April 12. 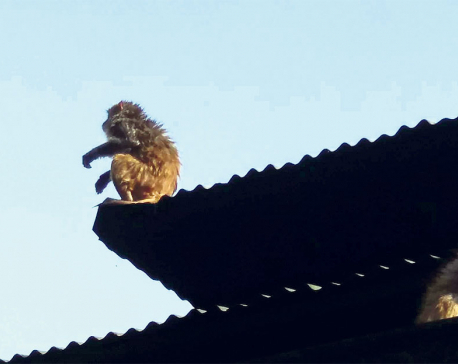 KATHMANDU, April 8: Two people pelted bricks to one another until both of them were critically injured in a brutal brawl on early Monday morning. 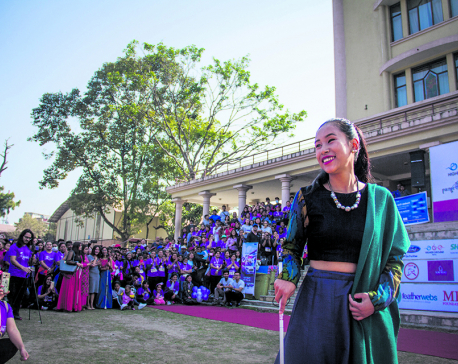 Indian writer, Chuden Kabimo launched a novel titled ‘Faatsung’ amid a special event organized on Friday in Kathmandu. 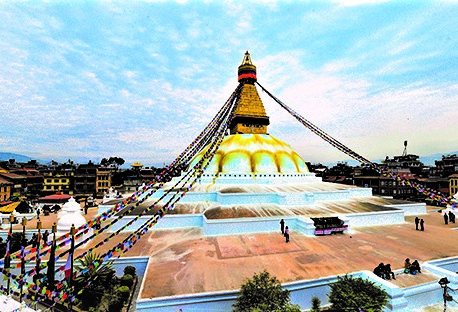 KATHMANDU, April 7: A Czech Republic Visa Application Centre has been opened in Kathmandu by VFS Global, a visa provider agency, to better serve the residents of Nepal wishing to travel to the Central European country. 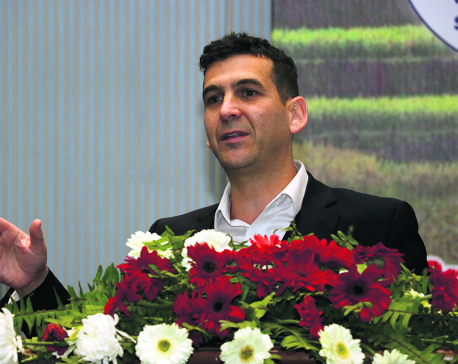 Prior to this, applicants had to travel to New Delhi, India, to submit application for Czech Republic visa. 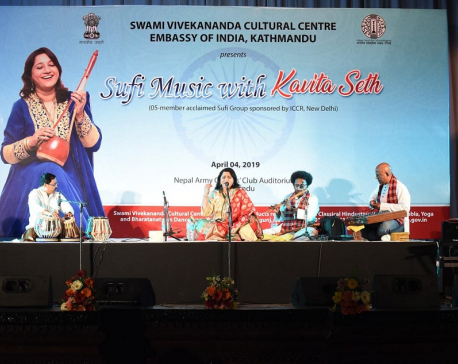 Bollywood playback singer Kavita Seth was recently invited by the Swami Vivekananda Cultural Center, in Kathmandu for a musical event titled 'Sufi Music with Kavita Seth'. 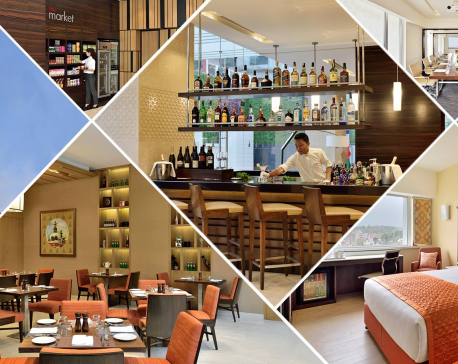 The first Marriott brand to arrive in Nepal, Fairfield by Marriott, Kathmandu is celebrating its two years in Nepal. 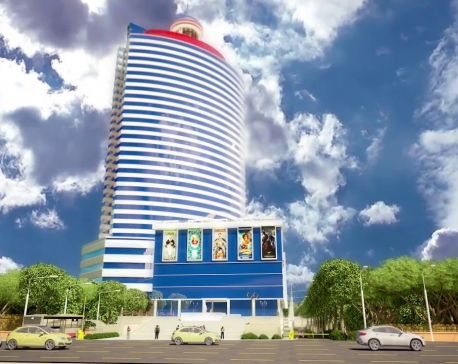 Fairfield by Marriott has established itself as one of the leading hotels in the hospitality industry within just two short years. 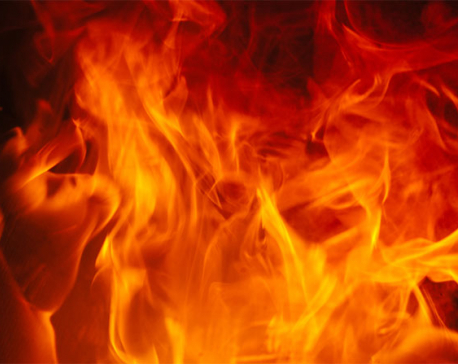 KATHMANDU, April 5: One person died while four others were injured when a house caught fire at Lazimpat in the capital on Thursday night. 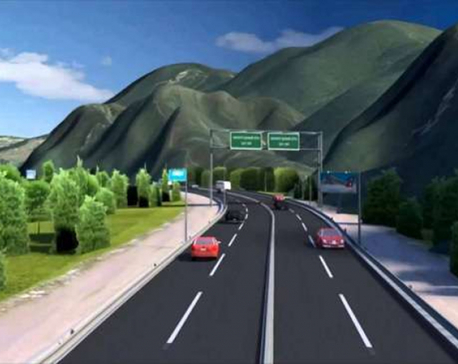 GORKHA, April 5: The construction of 230-KV Marsyangdi-Kathmandu transmission line has come to a final stage. 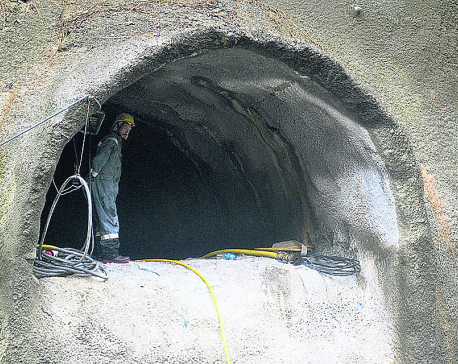 Almost 90 percent works along the 33-km transmission line has so far completed. 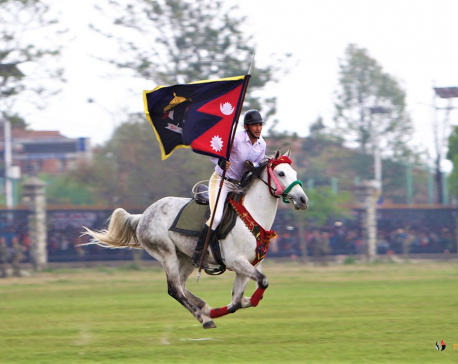 KATHMANDU, April 5: The annual traditional festival of Ghode Jatra, which is also known as Horse Racing Day, is being celebrated in the country's cultural hub of Kathmandu Valley today. 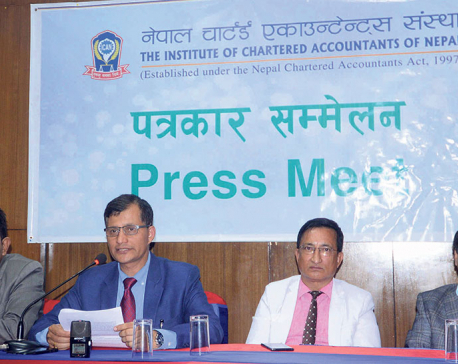 KATHMANDU, April 4: South Asian Federation of Accountants (SAFA) is organizing an international conference in Kathmandu on Thursday. 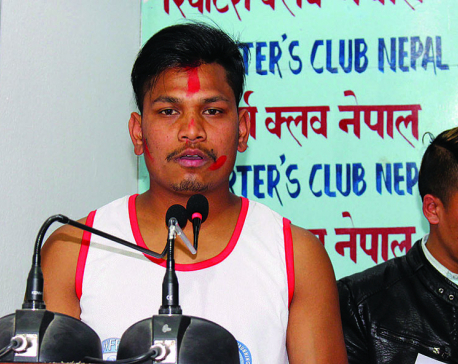 KATHMANDU, March 29: Dipesh Dhami of the departmental team Armed Police Force (APF) Club won the mixed doubles title with Pooja Shrestha and reached finals of two other categories- men’s singles and men’s doubles- in the ongoing 15th Krishna Mohan Memorial Open Badminton Tournament on Thursday. 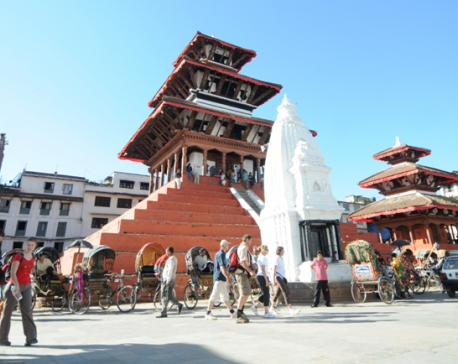 KATHMANDU, March 28: Rampage of moneys is posing a serious threat to main heritage sites in the capital. 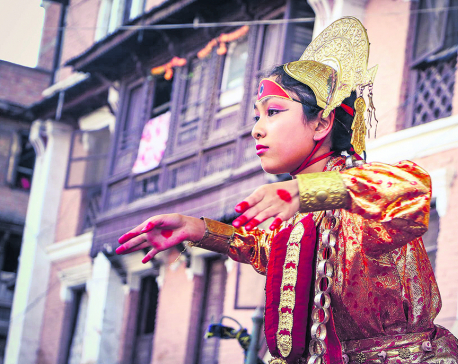 KATHMANDU, March 27: Kathmandu has been ranked 19th out of 25 world's best tourism destinations for the year 2019. 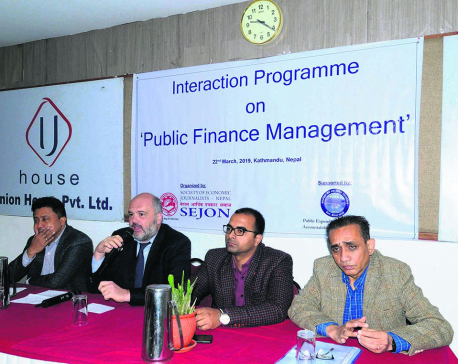 KATHMANDU, March 23: Stakeholders have underlined the need for effective public finance management (PFM) by ensuring transparency, putting in place better reporting standards, and strengthening institutions involved in public spending. 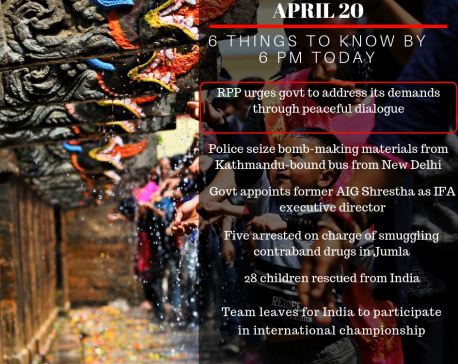 KATHMANDU, March 20: A person was killed, four others were injured in two separate accidents during the Holi festival. 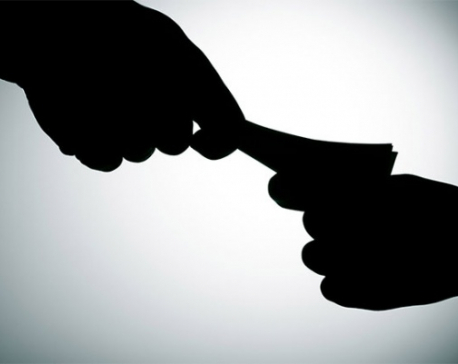 KATHMANDU, March 16: The Commission for the Investigation of Abuse of Authority has arrested a government official for taking bribe of Rs 22,000 from his client. 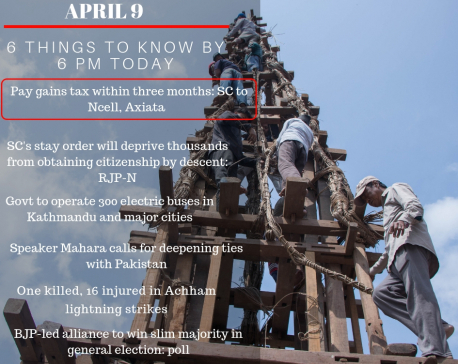 KATHMANDU, March 15: Two reports prepared after on-site visit and study have been presented in the meeting of the House of Representatives, Development and Technology Committee. 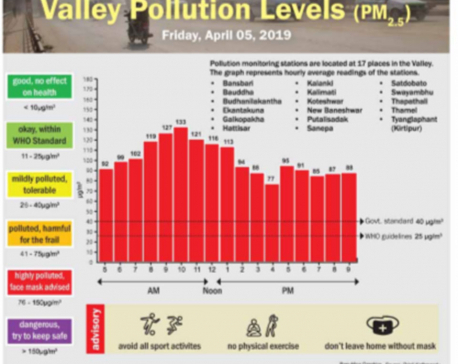 KATHMANDU, March 15: Students of Ullens School and staffers from the Himalayan Mountain Initiative played their part to take urgent actions to reduce climate change in the country and across the world. 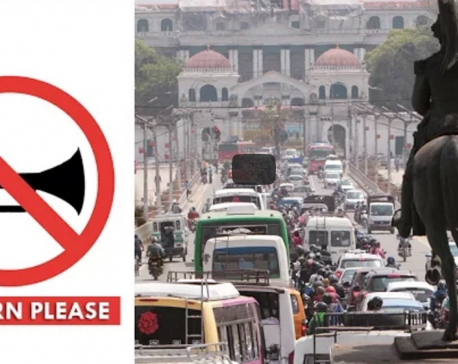 KATHMANDU, March 15: A total of 34,037 vehicles have faced action for defying the 'no horn' rule in the Kathmandu Valley since the new rule came into force two years ago. KATHMANDU, March 14: Laxmi Intercontinental Pvt Ltd is set to organize annual Hyundai Open Golf Tournament this Friday and Saturday, at Gokarna Golf Resort in Kathmandu. 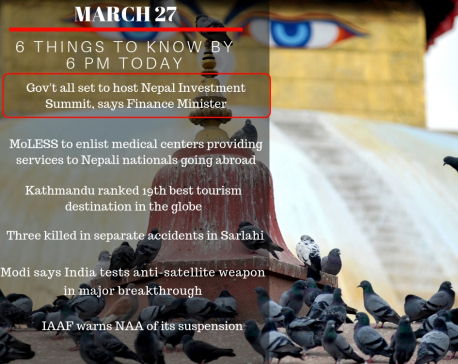 The company made the announcement at a press meet in Kathmandu on Wednesday. 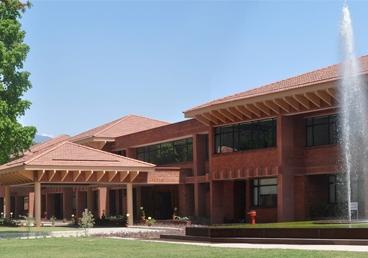 KATHMANDU, March 13:The Embassy of India, Kathmandu has announced 200 Golden Jubilee Scholarships to meritorious Nepali students for continuing their studies in various undergraduate courses at various Universities and Colleges in Nepal for the academic year 2018-2019. 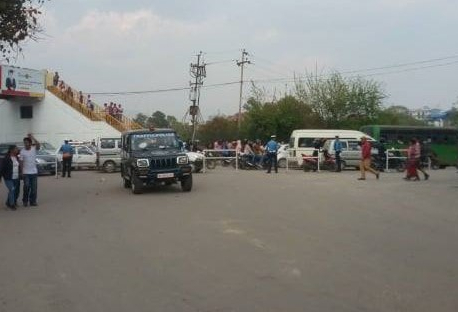 KATHMANDU, March 12: A woman’s body was found near the firing range training center of the Armed Police Force(APF) headquarter on Tuesday morning. 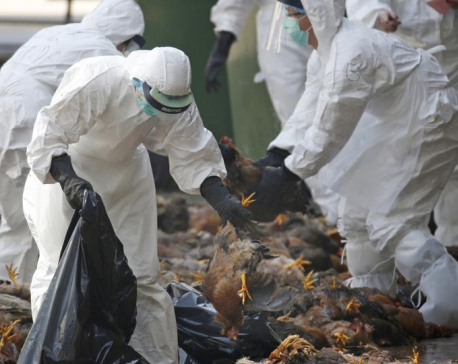 The deceased, Nirmaya Chemjong,45, from Sunsari was living at Nagarjun Municipality-3. 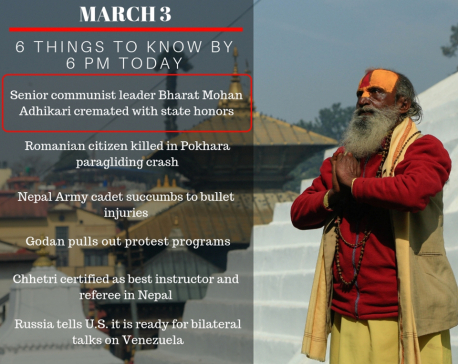 KATHMANDU, March 12: Nepali stuntman Dinesh Sunar, holder of two world records in parkour, has made an attempt for hat-trick in the ‘most twisting back-flips off a wall in 30 seconds’ on Monday. Sunar completed 11 back-flips in 30 seconds. 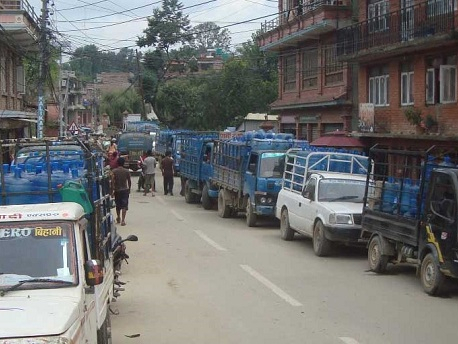 KATHMANDU, March 11: In its effort to check rampant parking, the Traffic Police has locked wheels of 1,548 vehicles in different places of Kathmandu Valley. 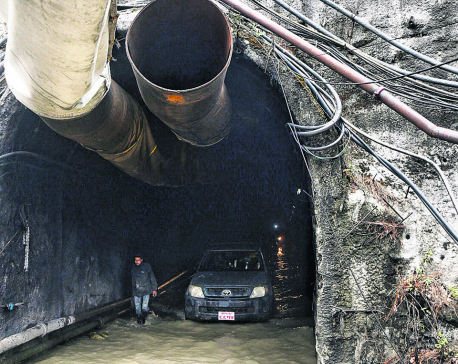 KATHMANDU, March 11: The government has not been able to decide future course of Melamchi Water Supply Project (MWSP) even though it has been nearly two and half months since CMC -- the Italian contractor -- abandoned the project site. 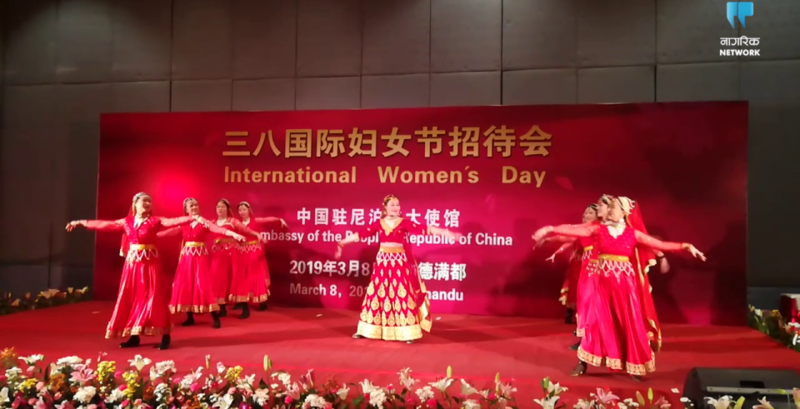 KATHMANDU, March 8: Chinese Ambassador to Nepal Hou Yanqi danced to a Nepali song ‘Chari Jastai Udna Paye…..’ to mark the 109th International Women Day in the capital today. 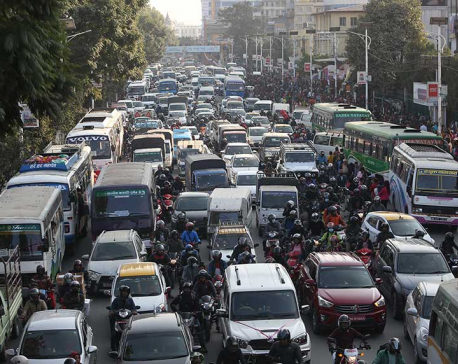 KATHMANDU, March 6: It's not uncommon that roads are blocked and traffic movement is diverted to ease VIP motorcades in the Kathmandu Valley. 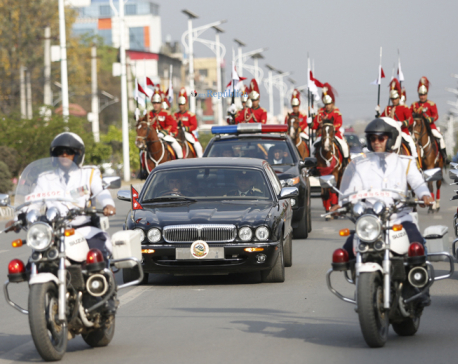 But, this time it probably was different as Kathmandu folks took a strong exception to traffic jams caused by the VIPs motorcades. 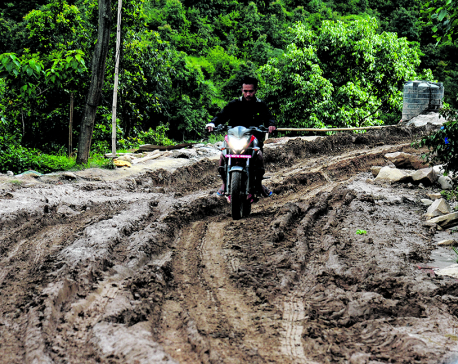 Kathmandu Upatyaka Khanepani Limited (KUKL) has not been able to reserve and lay pipeline for water distribution. 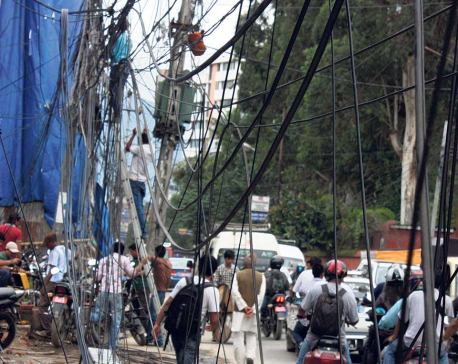 Unmanaged city planning, haphazard road digging and dust pollution have defaced beautiful Kathmandu. Our city is in a mess. 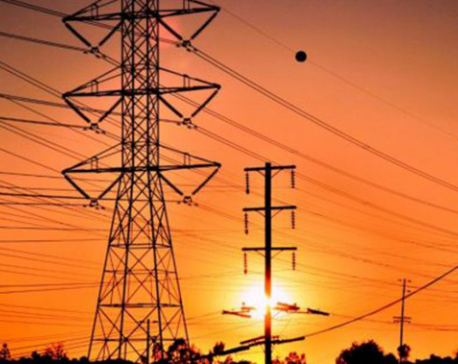 Electric pylons dangling overheard or even lying along the roadside, hindering mobility, posing greater risks of accidents and short circuits have made the matters worse.